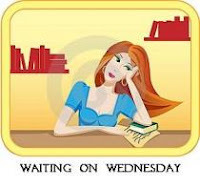 Waiting on Wednesday is a feature hosted by Breaking the Spine for pre-release books we can’t wait to read! Summary from Goodreads: In the court of King Henry VIII, nothing is free– and love comes at the highest price of all. Why I’m Waiting: BECAUSE I AM A SUCKER FOR TUDOR HISTORICAL FICTION. Finding this book made me SO excited, because it’s just one of a small line of historical fiction books coming forward on the YA shelf and that makes me SO HAPPY. Personally, Catherine Howard has been on the back end of my favorite wives of Henry VIII, but she does really touch my heart depending on how the author writes her character. I’m very excited to see how this one will turn out. Katherine Longshore is also a debut author who made my list of 12 Debut Authors I’m Looking Forward to in 2012!